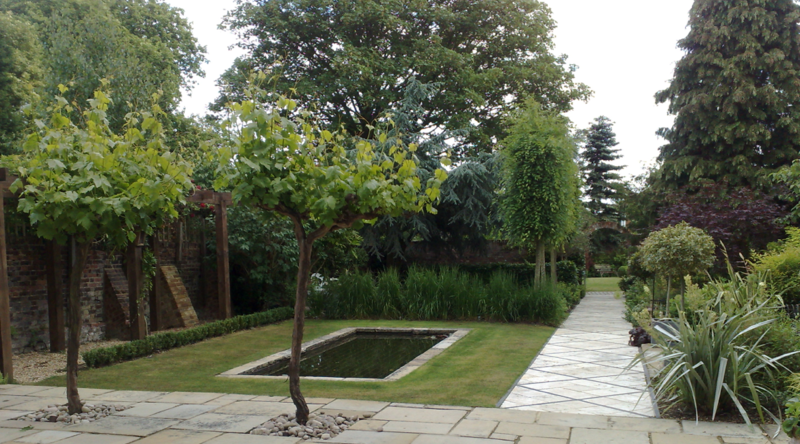 We created a multifaceted garden which suited the client’s beautiful Georgian house while adding a touch of modern mystery and intrigue. 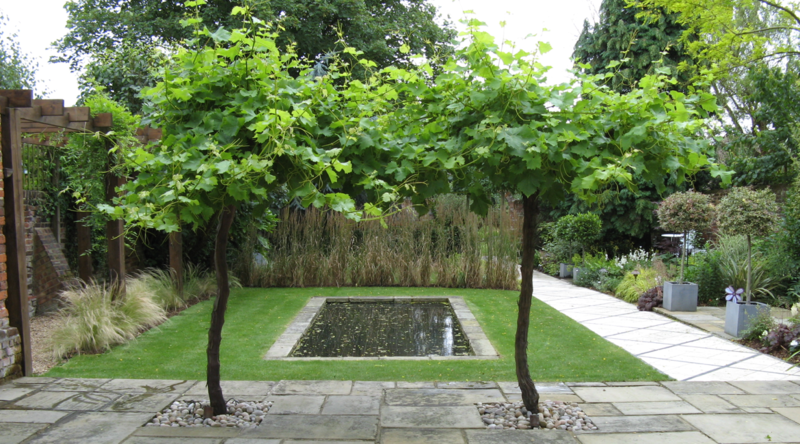 Our clients had recently refurbished their stunning Georgian house in Hadley Wood, Hertfordshire, and were now ready to update their outdoor space. 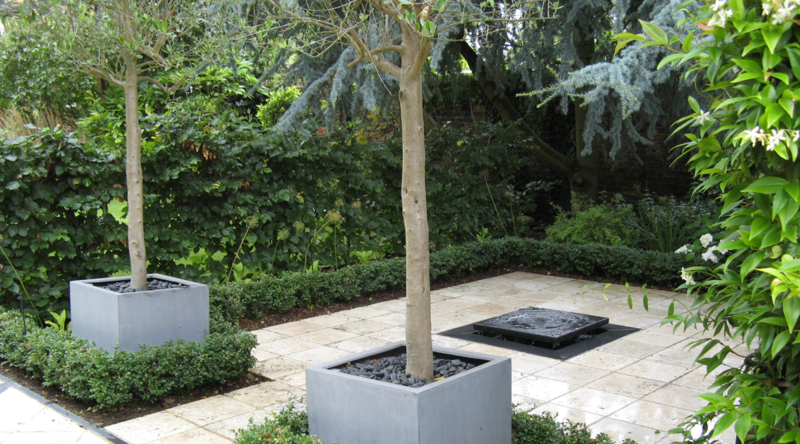 The garden needed to sit comfortably with the historic architecture of the house while giving a contemporary feel. So we recycled original York flagstones to create a spacious terrace for alfresco dining, overlooking a large formal pond. 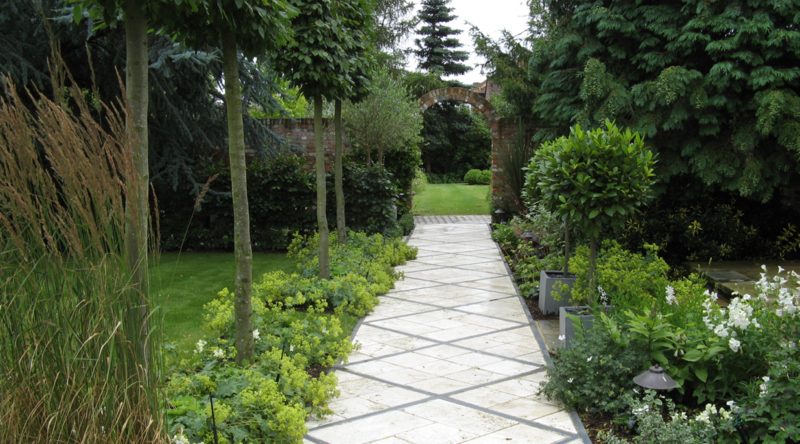 A smart, travertine path with slate detailing now travels the length of the garden, leading through a brick arch to the less formal areas. 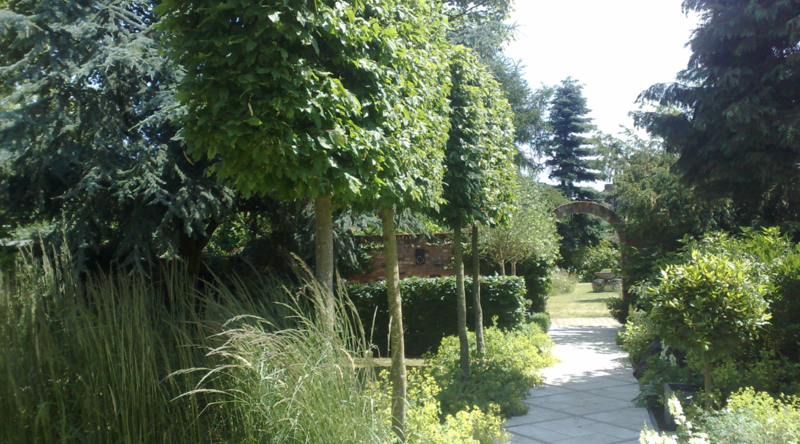 Tall grasses, hedges, pleached trees and deep flowerbeds create distinct ‘rooms’, producing elements of surprise as you venture deeper into the garden. Just beyond a beech hedge, a secret courtyard is revealed. 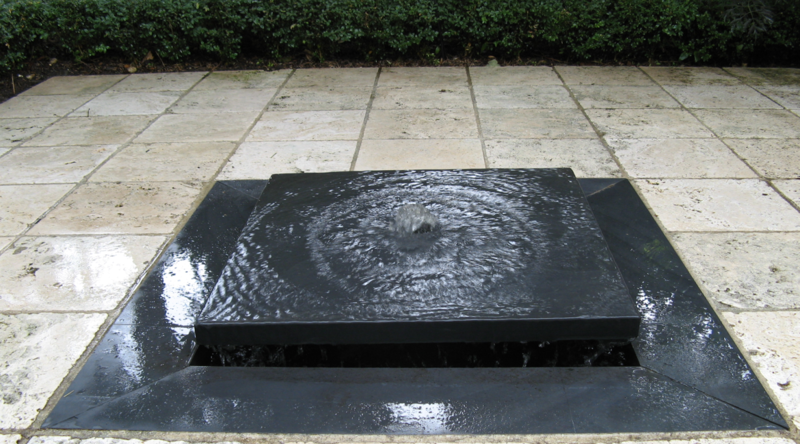 Here, a stone bench overlooks a sleek, slate water-feature, creating a cool, calm sanctuary. We have no hesitation in recommending Amanda Broughton. 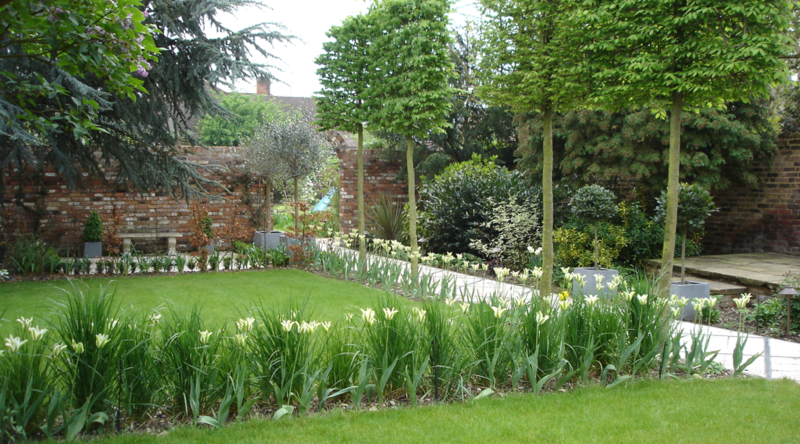 We commissioned Amanda to design and project manage our garden development and the finished garden continues to exceed our original expectations. Amanda quickly appreciated the style and essence of the garden we wished to create and captured our imagination with her first ‘mood board’. 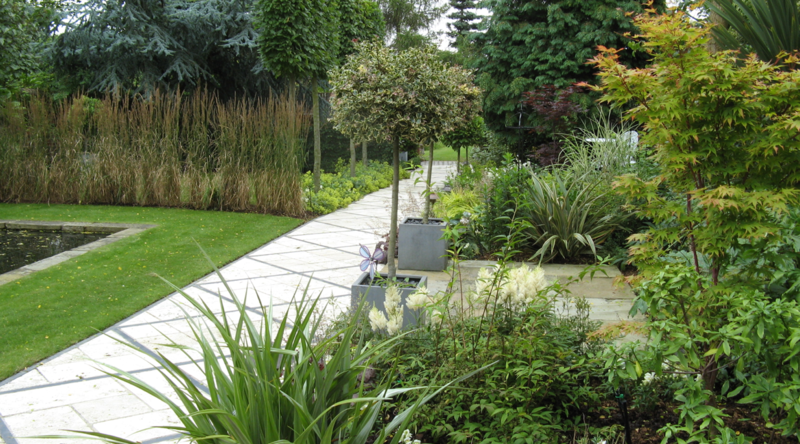 We have always been impressed with Amanda’s horticultural knowledge, coupled with creative suggestions which we felt were well suited to the style of our property. 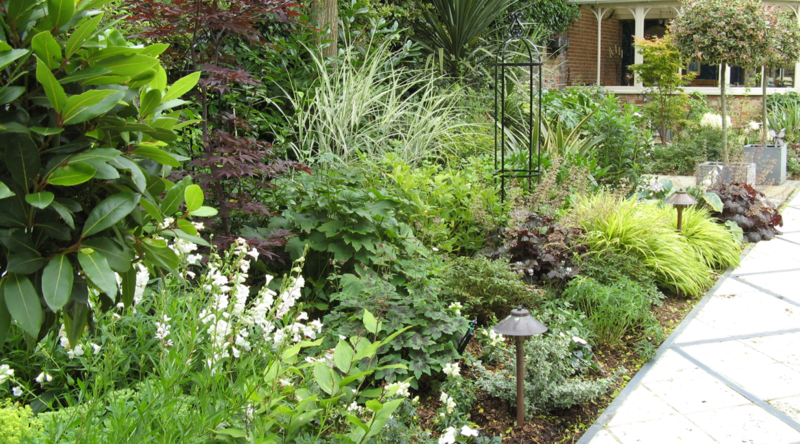 Amanda has been on-hand ever since to provide expert advice with regard to the garden’s maintenance and on-going development. The garden is our oasis, providing for us, the perfect blend of contemporary, stylish areas for adults coupled with fun and imaginative play areas for children. Amanda is always a delight to work with and continues to provide professional and helpful advice.